Installing a RainSoft water softener system can help you eliminate the presence of hard water in your Jacksonville, Florida, home. 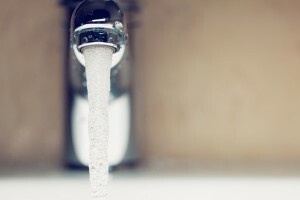 Hard water can be problematic for a variety of reasons; it leaves troublesome buildup on sinks, drains, and water-using appliances, and can leave your hair and skin feeling sticky and filmy, even after bathing. Our home water softener products are designed specifically to address these issues, enabling you to enjoy all the benefits of soft water in your home. When we install a water softener in your residence, you’ll immediately see a number of benefits, including soap that lathers easier, hair and skin that feels softer, dishes that wash cleaner, and clothes that look brighter. Our systems accomplish this by removing the root causes of hard water at the molecular level. After passing hard water into a specialized tank, our water softeners exchange the calcium and magnesium ions that cause water hardness with sodium or potassium ions, immediately producing beneficial results. EC4 – Our premium EC4 water conditioner has a built-in computer that analyzes your daily water usage and softens water on an as-needed basis, ensuring that you’ll always have soft water when you need it. Other models – We also offer other water softening devices, including our TC series, which are equally adept at removing hardness ions from your water supply, but replenish your home’s soft water on a set timer instead of on an adaptive basis. For additional information about the whole house water softener products we have available in Jacksonville, FL, please contact your local authorized RainSoft dealer today.